Looking to customize your car or truck? Here at Victor's we're the masters with over 50 years of professional experience in the Plainville area in custom installation and refinishing to meet anyones desires for cars and trucks. 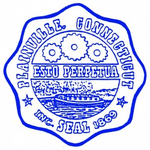 We're conviently located in Middletown, CT and service the greater Middletown area, including Plainville . Come on down to the shop right around the corner from Plainville on 590 Washington Street, Middletown CT or call us at (860) 346-8800 so we can help!